I love to bass fish. 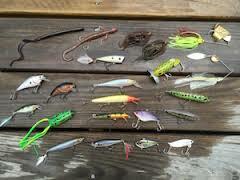 However, if you are going to catch anything you have to have the best bass fishing lures. The best lures can be hard to find. I have used worms, spoons, spinners, top-water plugs, deep-water minnows and others. The best bass lures really depend on the water, the time of year and the weather. 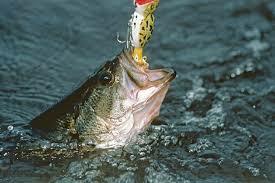 For example, in the spring it’s pretty easy to catch bass. My go – to lure in springtime is a rooster tail spinner. The reason is, they are easy to use and fish seem to love them. I can’t remember a time in the springtime that I didn’t catch something using a rooster tail. Just last week, I was fishing in a small pond. I started out with simply a worm and bobber. Not much luck. So I got my trusty rooster tail out. In a few minutes I was catching crappie and bass! The nice thing about the rooster-tails is they smaller fish like them too, not just he bass. So if you like to catch crappie and sunfish, which are usually close by, you can keep using the rooster-tail for all of them.